Comic Frontline: SDCC 2017: Dark Knights Rise - Evil Batmen Revealed! SDCC 2017: Dark Knights Rise - Evil Batmen Revealed! 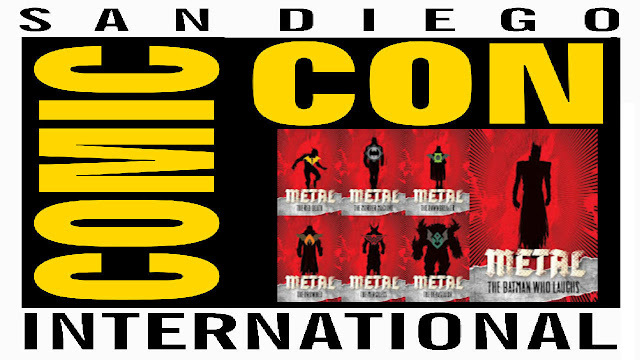 After teasing comic book fans with ominous shadow images of six evil Batmen from the Dark Multiverse several weeks ago, their final, terrifying images were revealed earlier this morning Comic-Con International: San Diego. 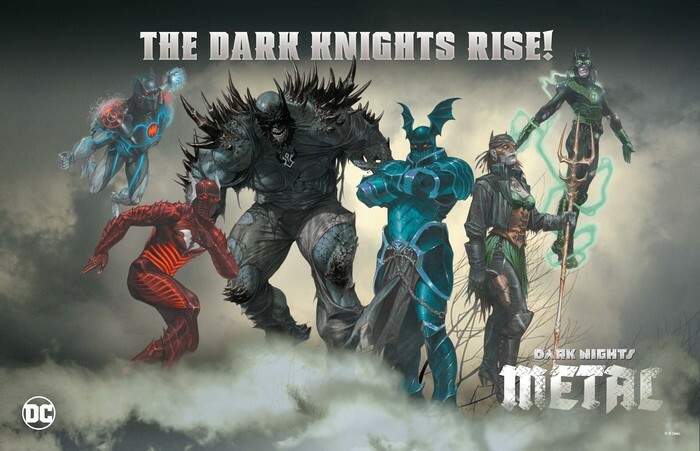 Each of these malevolent characters – The Red Death, The Murder Machine, The Dawnbreaker, The Drowned, The Merciless and The Devastator – all represent corrupted versions of Batman set upon the DC Universe to help conquer it once and for all, as part of the DARK NIGHTS: METAL event beginning this August. As part of DC’s presence at SDCC, fans will not only see these images displayed in the booth, but will also have their chance to take pictures with this evil sextet as part of the always popular interactive green screen photo studio.